Ahhh hurray for the long weekend, this has been a relaxing Saturday, allowing my experimenting to continue with really fabulous results! I've been 90% raw for the past 5 days. My crackers are good but I'm ready for something different for my work lunches this week. 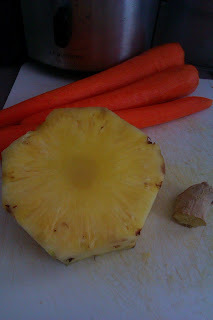 Here's what's in my dehydrator tonight. Anyone up for some healthy fruity sweet confections?! Ground 2 cups walnuts in a food processor until buttery consistency reached. 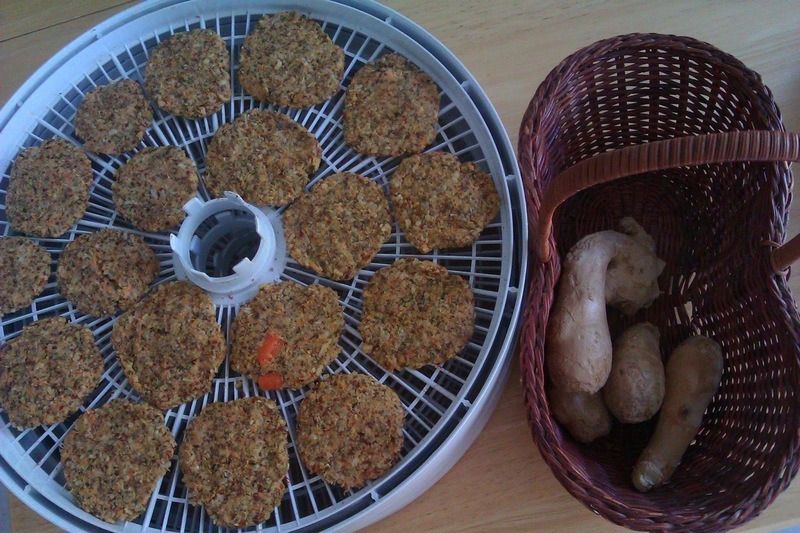 This also applies to both recipes: Dehydrate these goodies at 105F for 6 to 12 hours, depending on the level of crunch you are seeking. I like the carrot cookies to be as crispy as possible and the berry cookies are nice with some moisture. 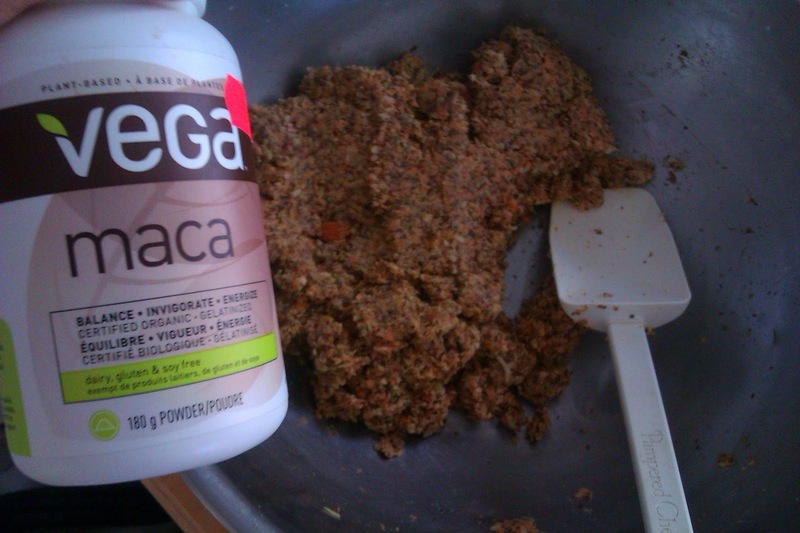 When desired texture is achieved, store in an airtight container in the fridge. If they are kept slightly soft, it is best to consume within 2 to 3 days. They will keep longer when they are fully dehydrated. 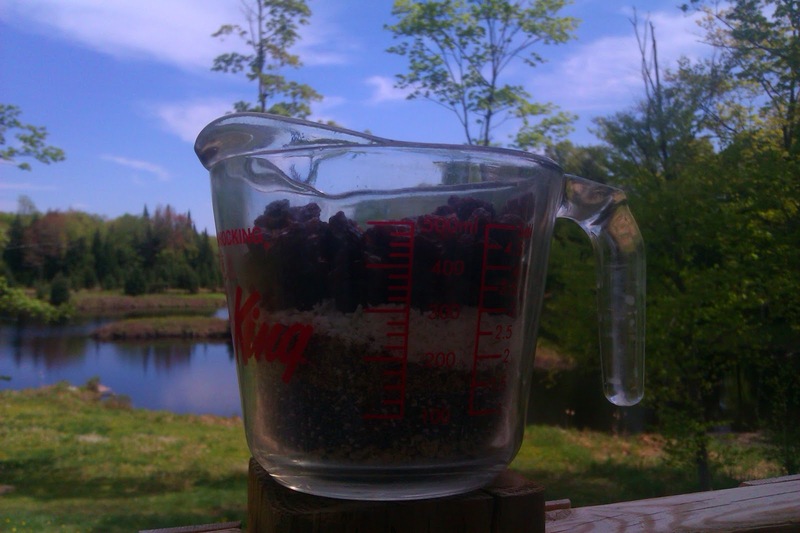 Blend the berries in a blender or food processor. I used frozen berries and the texture was terrific for mixing, better than if they had been fully thawed. 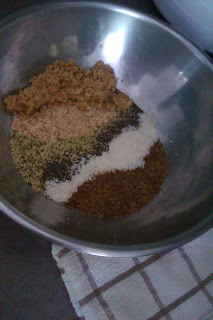 Mix with other ingredients. 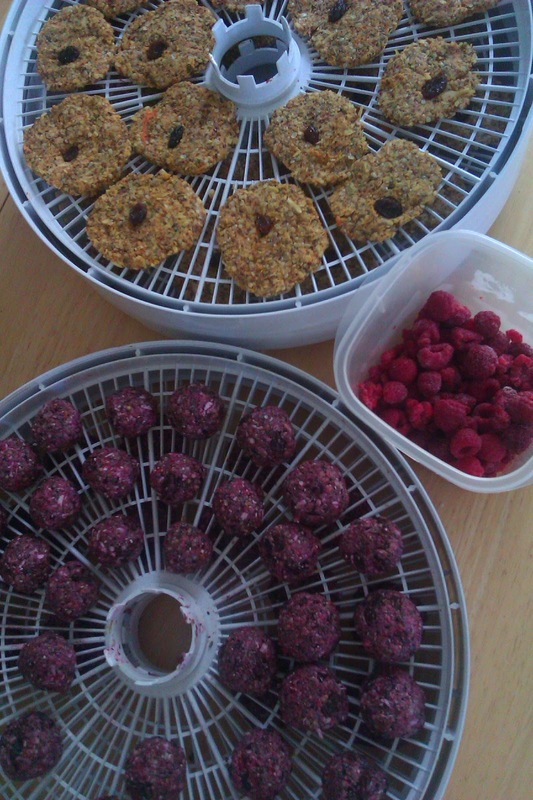 Roll into balls, place on dehydrator as is or press down lightly to make 1 inch thick cookie shapes. 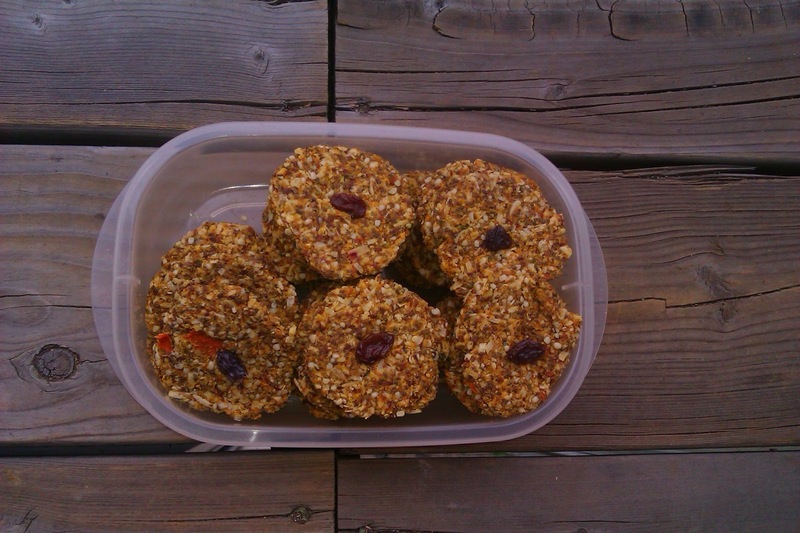 This recipe is inspired by Matt Amsden's recipe for Berry and Nut Breakfast Bars detailed in his Rawvolution book. If you are adventurous, add a few spoonfuls of plain or berry yogurt. Might need to adjust sweetener quantity and note that probiotic yogurt likely does not keep those properties... something to be verified. 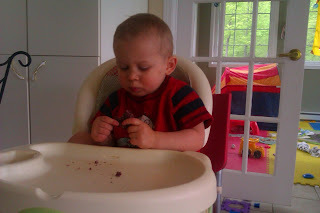 I will try sometime with shredded apple and add some cinnamon and perhaps switch the raisins for dried cranberries. 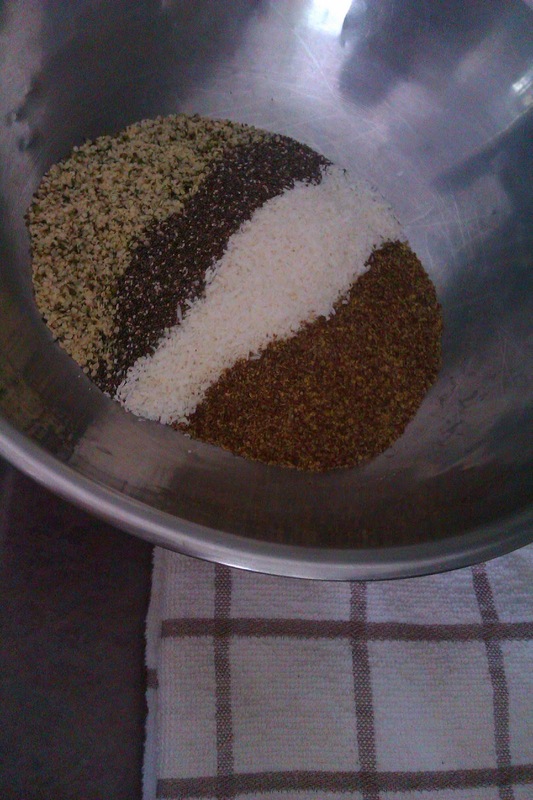 You could also do this with strawberries or blackberries or any mix. After mixing thoroughly, form balls in your hands and flatten to create thin rounds., placing them on dehydrator tray as you progress. 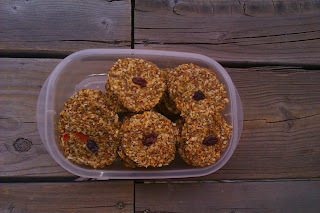 Press a raisin, dried cranberry or goji berry at the center of each cookie. After an hour in the dehydrator, turn them over with the fruit side down. 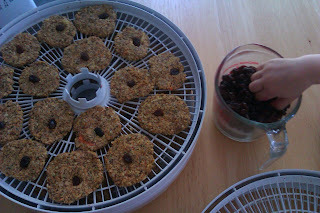 To my surprise, I left the carrot pineapple cookies in the dehydrator much longer than the berry chia balls. They need to be crispy otherwise the ginger tastes funky. 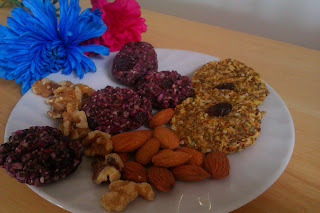 With raw cookies, it seems the possibilities are endless since you can use different nuts, sweeteners, yogurt, spices, etc!